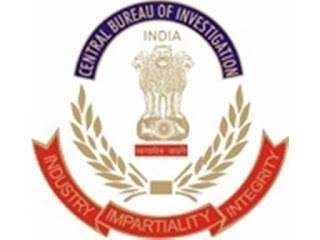 In an ongoing investigation of a chit fund case, the Central Bureau of Investigation (CBI) on Friday conducted raids at nine places in West Bengal and Madhya Pradesh. CBI raided the official and residential premises of the accused person and company in Madhya Pradesh. During the searches, several incriminating documents were recovered. In accordance with a Supreme Court order, a case was registered in June last year against two directors of Golden Pariwar Holding and Developers Private Limited - Sukalyan Biswas and Bina Biswas - among others under Indian Penal Code (IPC) Sections 406, 420 and 120 B. It was alleged that the accused collected huge amounts as deposit from the public on assurance to repay them with high interest. However, the accused did not repay the money and closed down their offices, misappropriated the invested amount and cheated the investors.